Missouri gal-O. 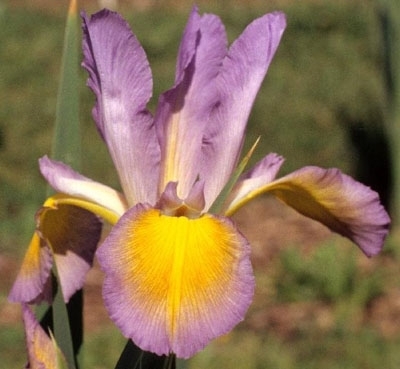 D. Niswonger-76-spuria Iris-40 Inches Tall-Medium bloom season-Pale blue standards. Falls yellow with 1/4 inche pale blue borders. HM.